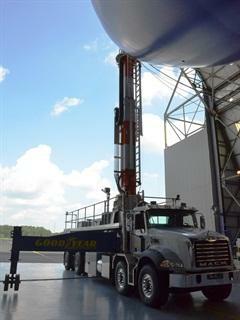 2014 Mack Granite Goodyear Mast Truck. 455 horsepower, diesel, Weight: 64,000 pounds, all-wheel drive, Allison six-speed. Don't see a pumpkin under that hood, you sure it's ALL wheel drive? Here is a little more info on the Mack Granite. Cool looking truck. And pics. 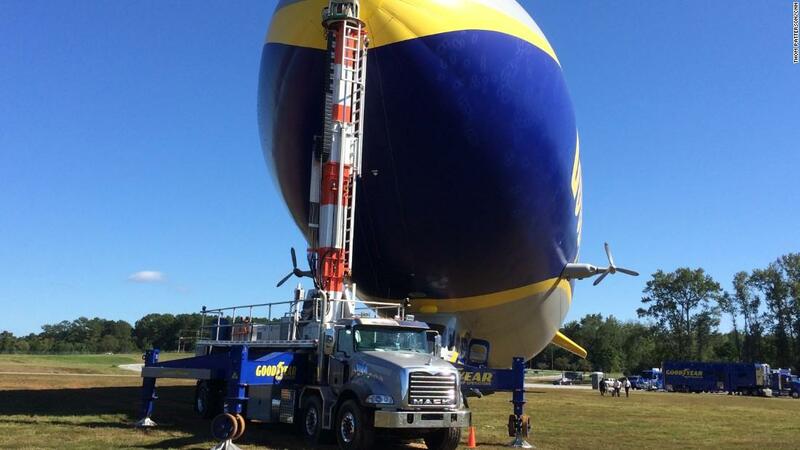 They could have saved themselves some money and just towed a boat anchor around to hold the blimp. 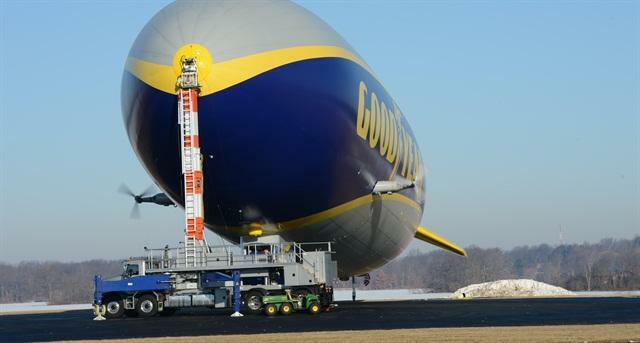 They'll have to tow the granite from landing site to landing site anyways.